This is one of those arcade games you'll never forget. Hard, but so much fun to play. 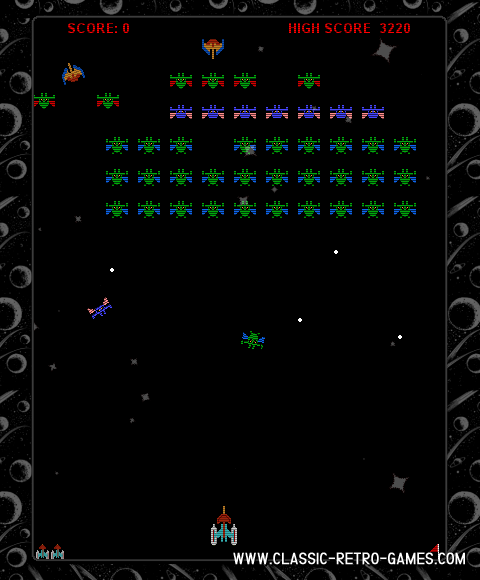 PJ has remade Galaxian for Windows and it's just as much fun as the original classic. Download this video game for free and enjoy! Currently rated: 3.4 / 5 stars by 54 gamers.